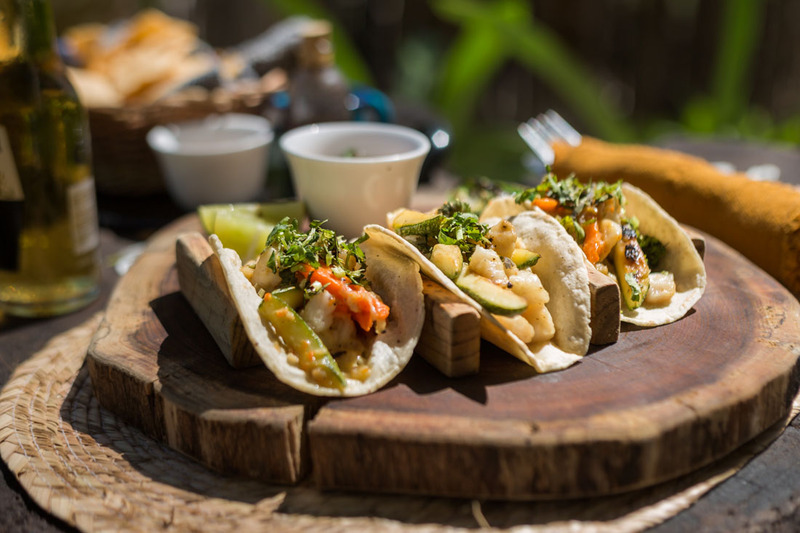 Join us for a week of training and healthy, gourmet cooking in our home in Aldea Zama, Tulum. We have very limited space each month for these immersions so please book well in advance to guarentee your spot. 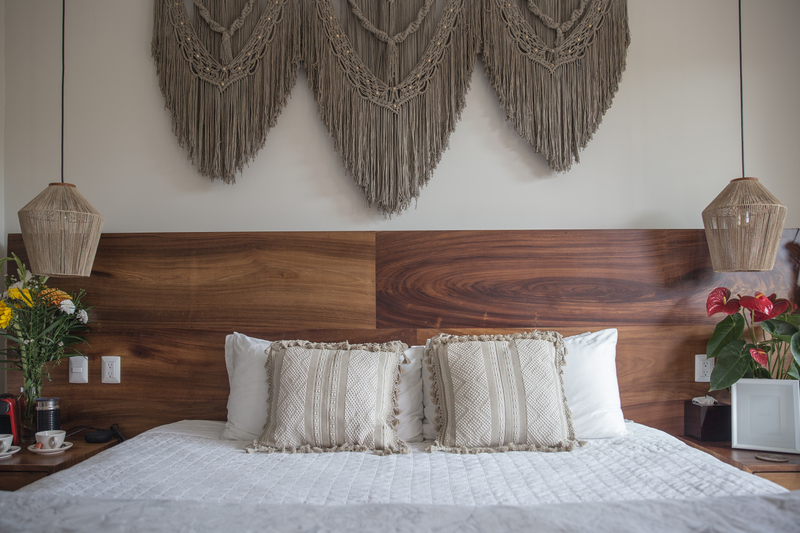 You will be staying with us in a private ensuite king bedroom with it’s own entrance, and a tranquil patio space for you to relax and unwind. Meals will be served at our outdoor dining area, and cooking classes are in the shared space of the condo. Our gym is a 5 minute bike ride away, and is a fully equipped strength-and-conditioning center where you be able to get hands on coaching on lifting technique for both strength and conditioning purposes. We also highly recommend massage with our Mayan therapist who will come to your room. Leo is a a highly sought out healer who uses a variety of techniques to help release tension in your body and bring deeper relaxation. 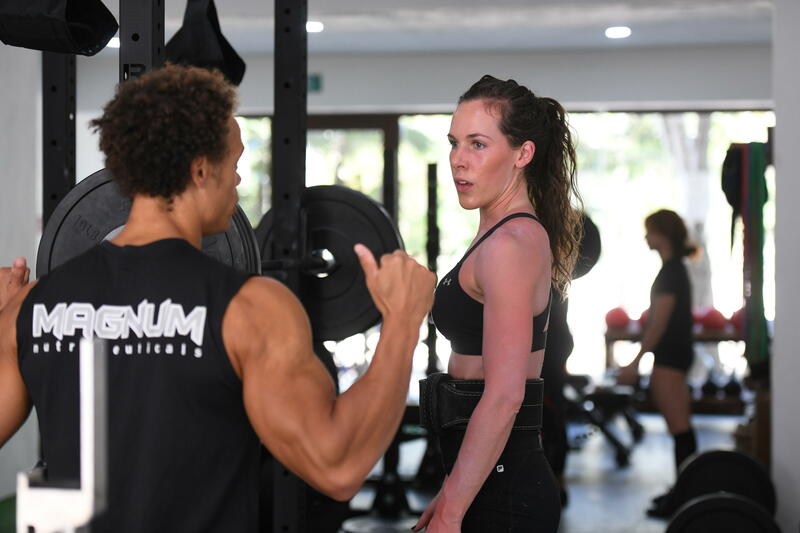 Your week in Tulum is about fitness, wellness, and mastering the habits of success that you want to implement in your daily life back home. You will have a bicycle to get to the beach and into town, as well as a beautiful swimming pool and outdoor lounge area to grab some sun and relax. There is plenty of free time to tour the famous Cenotes of the area, take a boat tour through the Sian Ka’an Biosphere and sample the amazing restaurants along the beach. We look forward to hosting you! 6 nights at our beautiful ensuite king bedroom, breakfast and lunch included, 5 – 90 minutes personal training sessions at the gym, and a 3 hour cooking class at the condo.